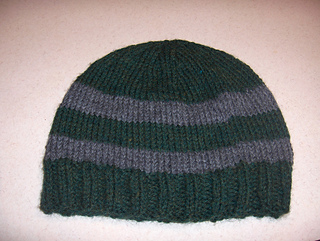 Finished hat is between 8.5 and 10 inches deep and stretches to 22-24 inches around. 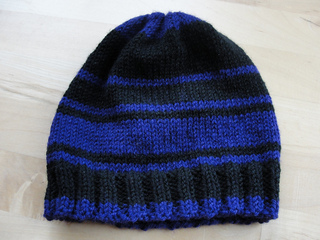 The decreases spiral to the top of the hat. Instructions are given for both straight and circular needle versions. 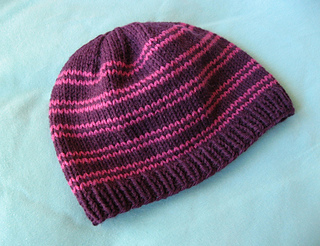 You may also use circular needles of an appropriate size for this hat. 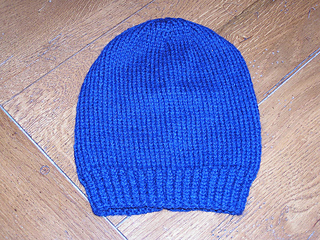 Hat may also be knit on size 8 needles. Pattern also available at Lion Brand.